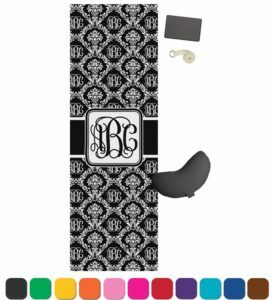 Today, I’m excited to bring the Combo Yoga Mat by Yoga Design Lab to your attention. 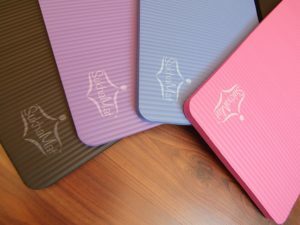 The designs on these mats are gorgeous and the product reviews are great. 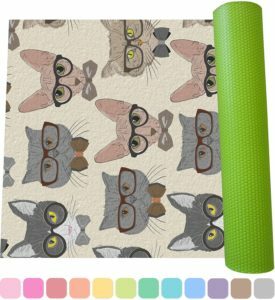 If I needed a new yoga mat right now, this is the one I’d purchase! You’re probably wondering where the word “combo” comes into play? It’s really pretty simple, not to mention ingenious. There are actually two layers to this yoga mat. The bottom layer is constructed out of biodegradable tree rubber, 3.5 mm thick. The colorful top layer is constructed out of absorbent microfiber… think along the lines of a high-quality yoga towel. These two layers are securely bonded together to form the perfect all-in-one product. How cool is that? This means you have one less thing to pack up, when it’s time for yoga class. If you hate the thought of your yoga towel bunching up on top of your mat in the middle of your favorite pose, this mat is for you. 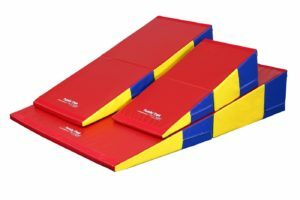 In addition, practicing yoga on a “grippy” or non-slippery mat is really the way to go. It helps to greatly reduce the possibility of injury due to a slip and fall. 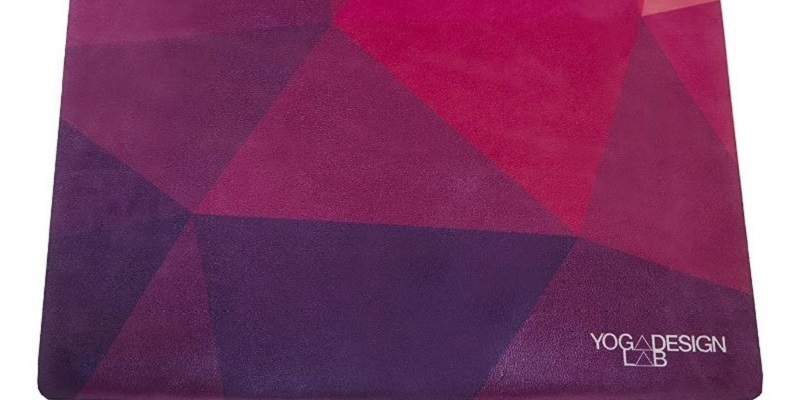 This yoga mat is also totally reversible. If you prefer to practice, using the natural tree rubber side, the choice is up to you. 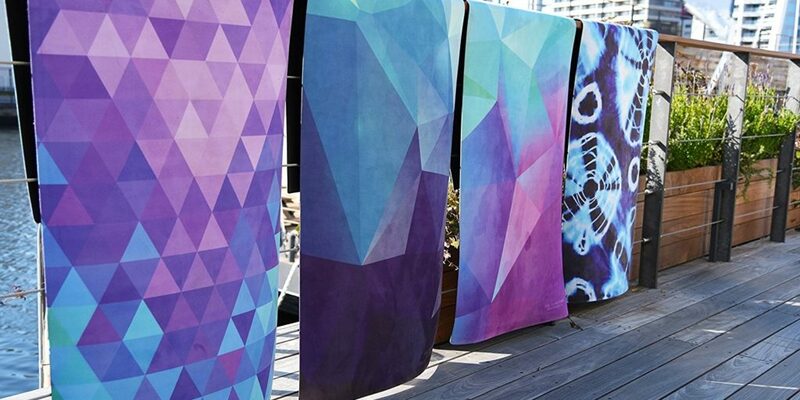 If and when you decide to buy the Combo Yoga Mat, you have the choice of 10 colorful prints. The ink used on these mats is water-based. That being said, you don’t have to worry about your yoga mat fading, even in the sun. As far as size is concerned, you’re looking at overall dimensions of 70″ long x 24″ wide. If you’ve purchased a yoga mat, in the past, you probably know that this size is a pretty standard one. Others who have bought this mat indicate that it’s extremely comfortable and cushioning. At the same time, it’s very lightweight and flexible. There’s no toxic smell. In fact, there’s no smell whatsoever. It’s easy to wash the Combo Yoga Mat. Simply wash it, by itself, in cold water on a gentle cycle. Obviously, you want to use a mild detergent but without bleach. 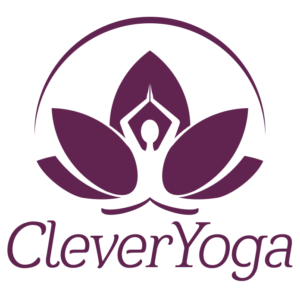 Don’t put this product (or any other yoga mat) in the dryer. Hang to dry. Hint: wrap the mat in a towel and squeeze out the excess water before hanging it up to dry. This will speed up the drying time considerably. I don’t know about you, but I am more inclined to buy products that support a good cause. At least for now, Yoga Design Lab promises to donate $1 for each yoga mat sold to support the Urban Youth Yoga Programs. Yoga mats such as this aren’t meant to be folded up. 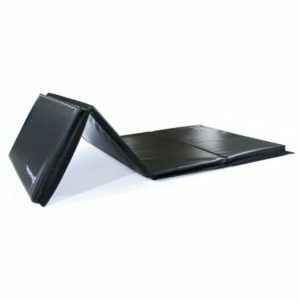 You can roll it up and use the included sturdy carrying strap to take it to your yoga class. 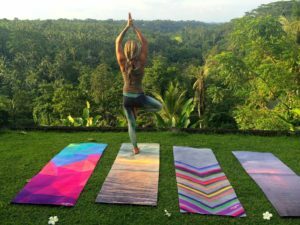 Have you ever used a yoga mat similar to the Combo Yoga Mat by Yoga Design Lab? If so, what feature do you like the best? 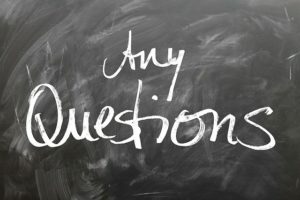 Please take a minute to leave your feedback or comments below.